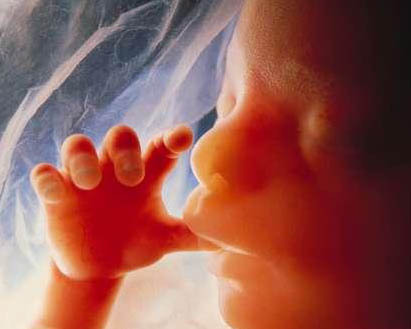 For the fetus, though enclosed in the womb of its mother, is already a human being, and it is a monstrous crime to rob it of the life which it has not yet begun to enjoy. If it seems more horrible to kill a man in his own house than in a field, because a man’s house is his place of most secure refuge, it ought surely to be deemed more atrocious to destroy a fetus in the womb before it has come to light. Exodus 21:22, Commentaries on the Four Last Books of Moses, Calvin’s Commentaries (Edinburgh; repr. Grand Rapids, MI: Baker, 1999), pp. 41, 42. Am I surprised by these stats? Not at all! The above topics are real issues that the Church is facing today. People who claim to get direct revelations from God or prophets continue to rise almost every day. The hunger for miracles and wonders has led to mass production of “anointed staffs” which steadily are taking the place of Christ in the hearts of many. My point again is that please my friends speak up against these things unless you don’t see anything wrong with such pathetic and blaspheming developments. I make this appeal because if you don’t raise your voice the old adage will prove true that silence means consent. By the grace of God, I write and will continue to write against these errors and heresies but I am not Pentecostal and some think I do so merely to score points over you brethren. However, if truth be told, I write and denounce errors and heresies because I am concerned with God’s truth and the glory of Christ regardless of who is involved. John Calvin once observed: “Even a dog barks when it’s master is attacked, I would be a coward if I saw that God’s truth is being attacked and yet would remain silent.” I bark when God’s glory and truth is maligned because I can’t help it to see or hear the name of Christ my Master and Savior being brought into disrepute. So, friends raise your voices against errors and heresies that are coming out coated with your name for Christ’s sake and his Church. Grace and peace.